The quality of life of patients with musculoskeletal diseases heavily depends on how long they have to wait for necessary surgery. We perform operations that reduce or avoid the normal waiting list period; we can secure appointments even for hip or knee replacements within a fortnight. The most common causes of long-lasting (chronic) pain and physical disability are the result of illnesses of the osseous and muscular system. Bone, muscle and joint injuries are extremely common, including strained muscles and joints, sprains and fractures of the bones. There are several congenital and acquired locomotor diseases affecting the muscles, joints and bones. Orthopaedics deals with the congenital and acquired disorders of the osseous and muscular system. Disorders of the bones and joints of the limbs, a part of muscle disorders, as well as the deformities of the vertebrae and the soft tissues surrounding the spine belong to this specialist area. The reconstruction of injuries, fractures, sprains, rupture of the ligaments, etc., caused by strong mechanical impact (e.g. 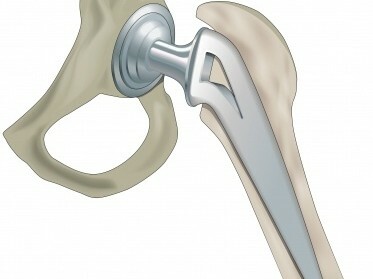 accidents) is also the task of orthopaedics. It endeavors to reconstruct normal moving functions and the shape in the area of bones, muscles, tendons, tendon sheaths and other supplementary locomotor organs partly by conservative treatments, partly by surgical interventions. Budapest Medical Services organizes and provides a wide range of orthopaedic surgeries. Both arthroscopic and prosthetic operations, such as knee and hip replacement surgeries, are performed without having to sign up for a waiting­list. We aspire to have the best practitioners in the field. Our specialists also work for state trauma and orthopaedics centres, thus all of them perform around 200­250 major surgeries per year. Following surgery, our patients can recuperate in a premium environment, in single or double rooms. During your hospital stay, qualified ICU nurses and physiotherapists assist yourfull recovery.